If you believe your property taxes are too high, you have the right to file a property tax appeal. Texas law gives both homeowners and business owners due process rights to ensure that they only pay their fair share. How Does the Property Tax Appeals Process Work? You can file an affidavit explaining your position rather than attending the ARB hearing in person, but this can cost you the opportunity to answer any questions the board raises. If you are unable to attend, you may wish to have a property tax appeal service represent you. 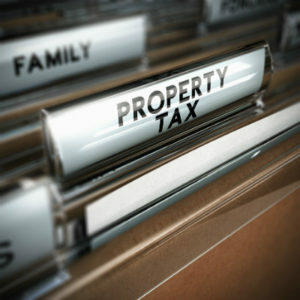 How Do You File a Property Tax Appeal? provide the reason you are protesting the appraisal or assessment. The deadline to file a protest is May 31 or 30 days after you receive the notice you are protesting, whichever is later. Appraisals are generally based on your property value as of Jan. 1, so you will generally receive the notice in the early part of the year. If you file late or do not include every possible grounds for protesting the notice, you may lose the right to appeal your property taxes. This could lead to your paying higher property taxes even when the appraisal or assessment was legally incorrect. Our property tax consultants can help you to review your notice to determine possible grounds for appeal and to include the necessary information in your protest. To ensure you meet the deadline, call today to schedule a consultation with one of our property tax appeal lawyers. from industrial and office property to single and multi-family residential. - HunterBrown, InSite Realty Partners, L.P.
At a critical time when a property was in lease-up, we were faced with an unreasonable and unjustified assessment. Brandon’s tenacity and responsiveness resulted in a fair assessment and the largest value change I've seen in my career. Outstanding!! These guys are pros - they are great at what they do and great to work with.